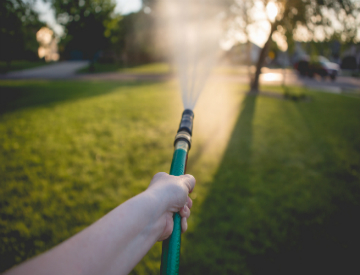 Water at Night – Aside from the fact that the midday sun will cause the majority of your water to evaporate before it can be incorporated into the plant, watering during the day can also cause quite a bit of leaf and stem damage. Water “Deep,” Not Often – One large soaking is far more beneficial than a half dozen partial ones as the water will work its way down to the roots and not just lay on the ground. Water the Lawn – Most people unwittingly water their walkways and patios while caring for their lawns. To solve this problem, simply ensure that your sprinklers are aimed in the right direction and cover the most profitable ground possible. For more information on this and other landscape maintenance topics, please visit us or phone us directly at 888-210-1116. Outdoor Expressions – Making your outdoor space a place to remember. 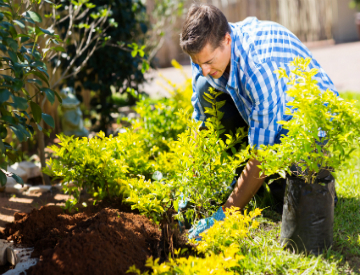 Get Physical – It has worked for thousands of years and in many ways is the most effective way to rid your garden of those nuisances that threaten your more valuable plants. For best results, ensure that you get as much of the root as possible. Try Boiling Water – No weed – and I mean, no weed! – can withstand a even a minor scalding. So the next time you make pasta, use the leftover water to destroy some of the more problematic weeds in your yard. 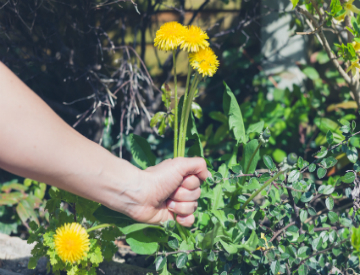 Use Vinegar – Especially good for weeds with long taproots, like dandelions, dock, and plantain, enough vinegar will kill almost anything. For more information on this and other landscape maintenance topics, please visit us online or phone us directly at 888-210-1116. Outdoor Expressions – Making your outdoor space a place to remember. Pick the Right Plants – Seems obvious, right? Still, there are countless homeowners who plant maintenance-intensive plants without any consideration for their future needs. Instead, simply consult a professional horticulturalist to find the easiest plants to maintain. Arrange Them Strategically – Plant maintenance can be made significantly easier by placing plants with the same needs next to each other. Then, when watering, weeding or whatever needs to be done, you can attack the problem in a more systematic way. Water Them Properly – Probably the easiest advice here – just water in the morning before the sun comes up or in the evening after it goes down. Also, soak the ground in one stretch rather than a little bit every day. For more on Atlanta landscape designers, please visit us online or call 888-210-1116. Outdoor Expressions – Making your outdoor space a place to remember. 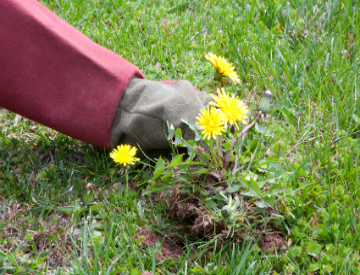 Control the Weeds – Nothing ruins an otherwise beautiful lawn more than a few scattered weeds. Make the effort to control them before they gain a foothold and needlessly grow out of control. Keep It Looking Neat – There are an abundance of things – toys and tools come to mind – that are necessary for the enjoyment and functioning of everyday life. This does not mean, however, that you should allow them to lay around the house after they have been used. Paint the Front Door – Believe it or not, the front door is one of the defining elements of your home and its decor. Always keep it looking good even if you have to paint every year. For more information on these and other landscape maintenance issues, please visit us online or phone directly to 888-210-1116. Outdoor Expressions – Making your outdoor space a place to remember. Add Some Covered Seating – Whether it is used for informal dining, taking a smoke break or having an ad hoc meeting, a covered seating area will be useful for almost every one of your commercial tenants. Utilize Your Roof Space – Often overlooked, the roof of a commercial building offers a tremendous amount of room and excellent views of the surrounding area. Consider adding some deck space up there for people to relax. 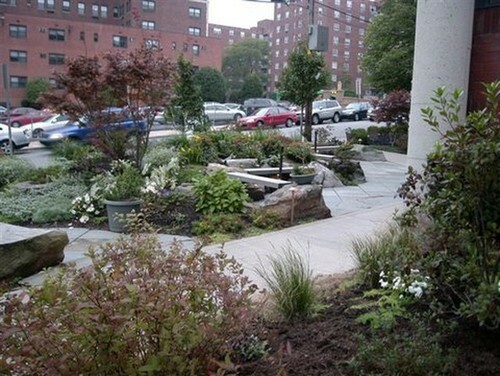 Community gardens are trending features and could make a big difference in employee lifestyles. Install a Water Feature – A fountain or waterfall combines visual, auditory and tactile sensations that will enhance the entrance to any commercial building. It also provides a nice waiting area for visitors. For further information on this topic and on commercial design firms in the Atlanta and surrounding Fulton County area, please visit us online or phone directly to 888-210-1116. Outdoor Expressions – Making your outdoor space a place to remember. Soften the Edges – Hardscapes need not necessarily be all about the stone or wood of the pathways. Instead, try adding some plants along the edges to soften the lines and create a more environmentally friendly atmosphere. 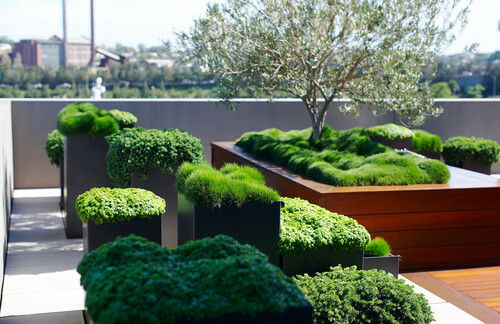 Add An Unconventional Planting Bed – Flower beds are typically added around the perimeter of a walkway or terrace. To create a little more interest, try installing one in the middle of a path or as a focal point along the way. Include a Tree or Two – In addition to adding some shade along the path, a tree or two will also add visual interest. Just don’t plant them off to the side. Instead include them right in the middle of the path. For further information on custom hardscape construction in the Atlanta and surrounding Fulton County area, please visit us online or phone us directly at 888-210-1116. Outdoor Expressions – Making your outdoor space a place to remember.